This necklace is part of the Tiny Treasures collection from Roberto Coin. Crafted in 18kt white gold, the tremendously appealing piece offers super style! 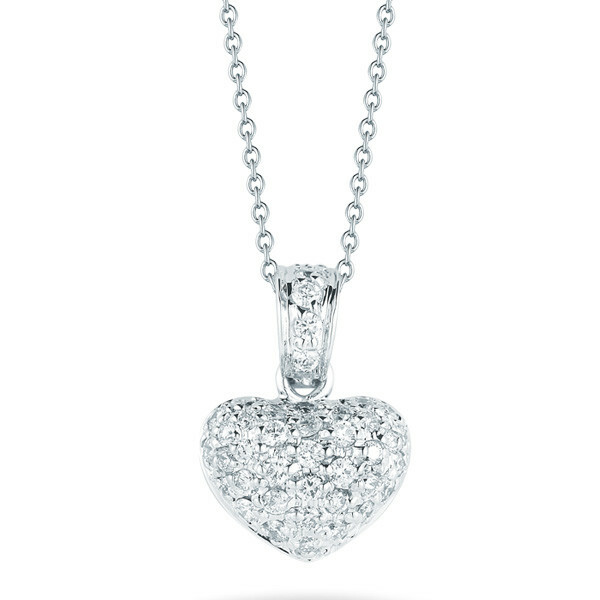 The puffy heart is "pumped up" with diamonds and hangs from a diamond bail. The pendant is suspended from an 18" chain that's included. We've gotta say it: This Roberto Coin necklace has a lot of heart!